Give your kitchen a stylish makeover with this gorgeous Circo 9 litre multi-purpose sink offered by Everhard. A versatile, top mount sink, the Circo 9 litre multi-purpose sink can also be used in other areas of your home such as in laundry and wet bars. The striking bold looks of this sink will perfectly complement the interiors of any space it is installed in. 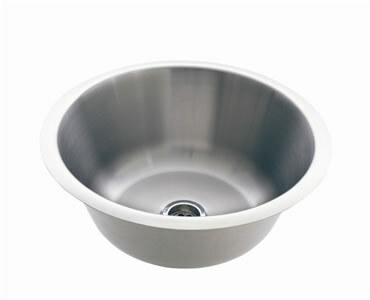 Featuring a round shaped bowl of 9L capacity, this Circo sink is manufactured using top 304 grade stainless steel and measures 345x137mm. The sink also includes a 50mm chrome plug and waste. Thanks to a clever design, the Circo 9 litre multi-purpose sink can effortlessly be installed in any space. Simply use the template provided on the product carton to create cut outs in your benchtop and this sink will slip into place. 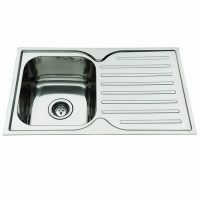 Everhard is a company known for offering high-quality products and the Circo 9 litre multi-purpose sink is no exception. Built to withstand substantial usage, it will definitely offer you many years of service. 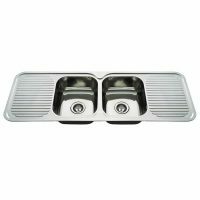 Everhard also backs this sink with an impressive 25 year guarantee on the stainless steel bowl and a 1 year guarantee on plugs, wastes and other accessories. Rest assured knowing that this sink is a first-rate product. So what are you waiting for? 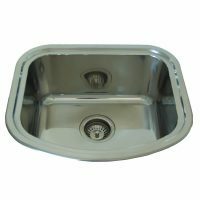 Buy the Everhard Circo 9L sink from Ross’s Discount Home Centre and relish in the savings.